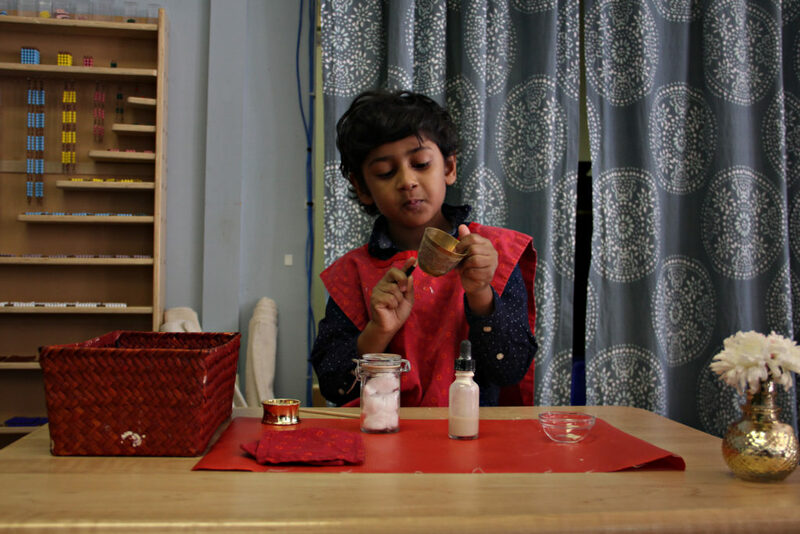 Whether figuring out how to grasp a rattle, pull up, write or read, concentration is central to learning. 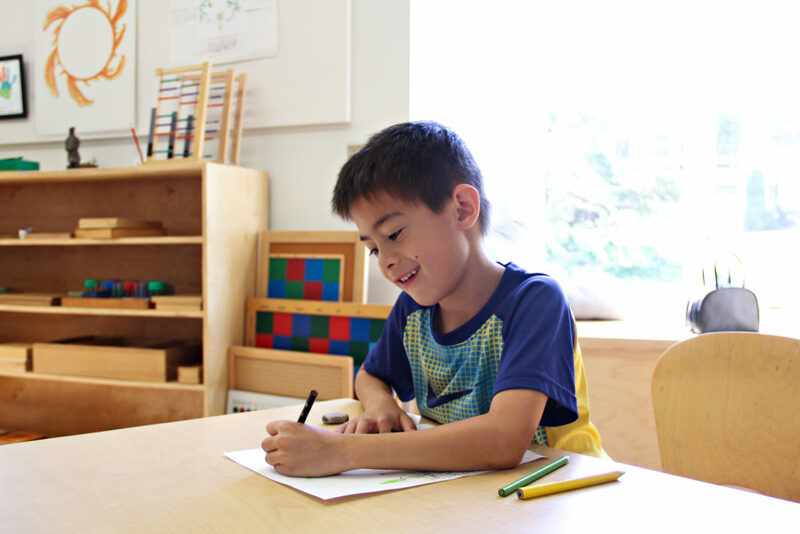 While coming naturally to children, concentration is also a skill which we cultivate by providing the right environment. How lucky that we have the opportunity to foster our children’s ability to concentrate! 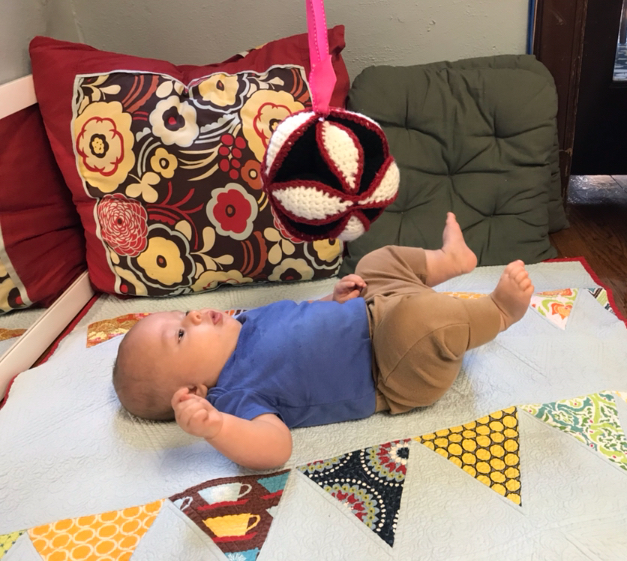 This 3-month-old was fascinated by the hanging ball. He looked and kicked at the ball for an extended period of time. Yes, babies can concentrate! 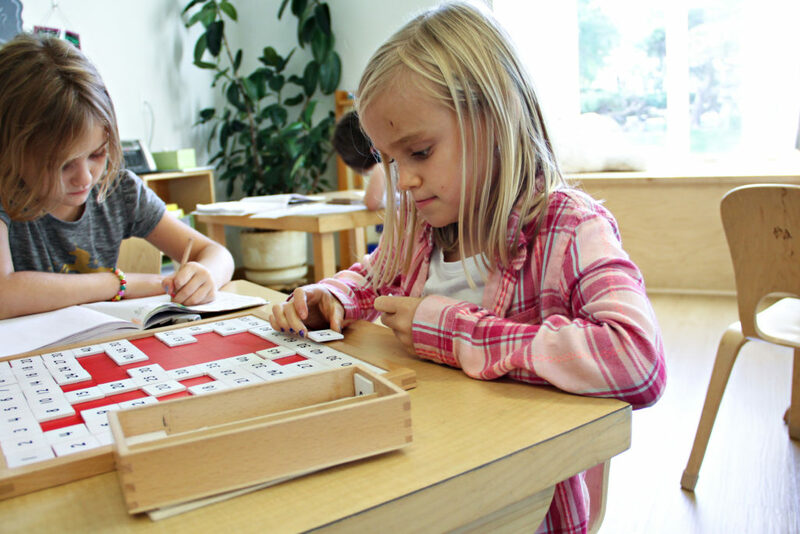 Montessori environments inherently bolster the development of concentration. The three-hour work period affords extended time without interruption which is vital for concentration to thrive. 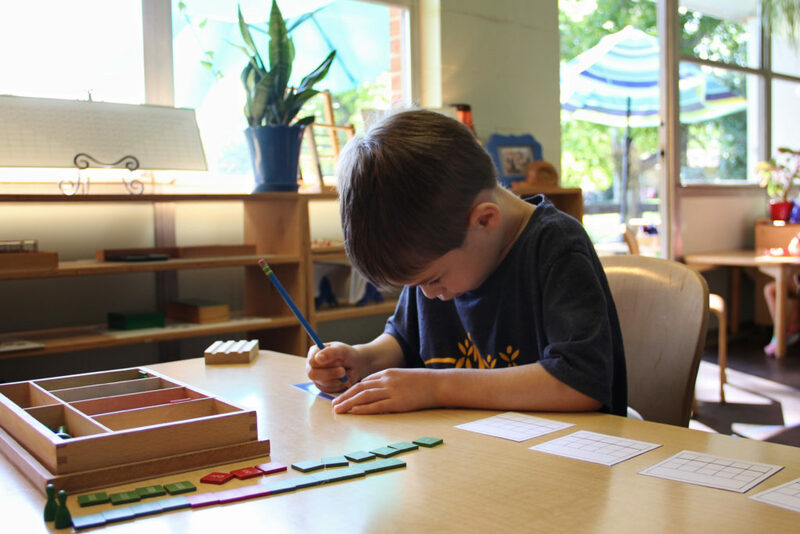 Further, the materials themselves are attractive to the children, inviting repetition which in turn leads to concentration. As is true at school, when your child is concentrating on meaningful work at home, please do not interrupt them unless absolutely necessary. 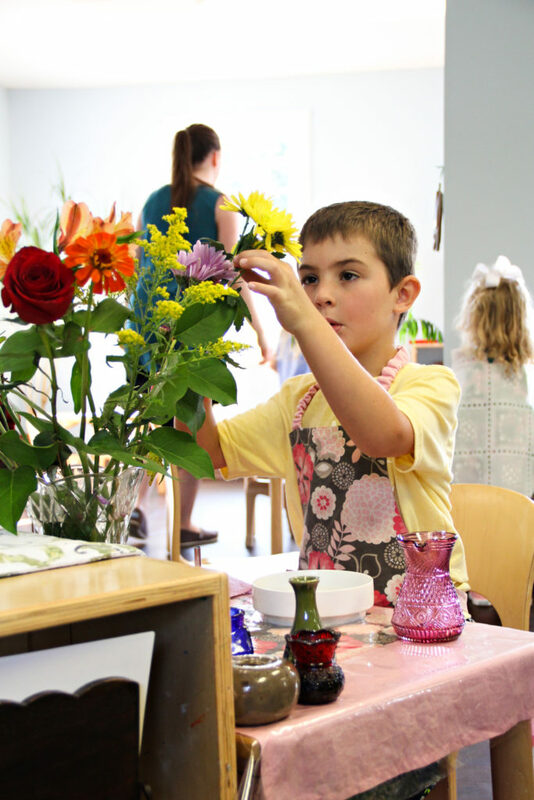 Their work may not seem meaningful to adult eyes, but balancing playing cards, tying and untying bows, lining up all the shoes in the house… This is all meaningful work. The sight of a child concentrating can transport us. We sense the feeling of deep calm and focus we too experience when we are allowed to fully lose ourselves to a productive task. Concentration is a beautiful thing to witness. Here we are witnesses to the moment of learning, the acquisition of knowledge. Many thanks to Melinda Smith for sharing her splendid photography.